単品とペアがございます。ペアは木箱入りになります。ご結婚御祝・金婚式など大切な方へのご贈答品としても喜んでいただけます。These sake cups are made of wood. Our artisans hollowed out the cups from special Tochi wood. 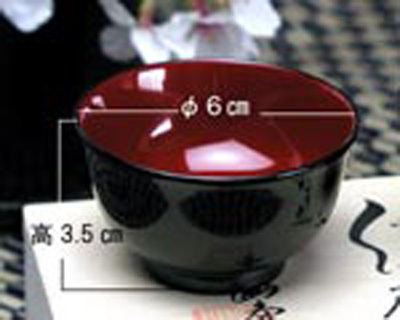 The outside surface of the sake cups are painted with our special techniques. 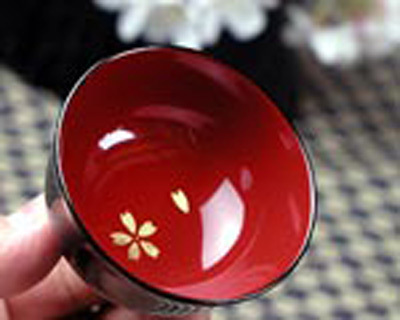 The carefully hand-painted images on the cup’sorich interior surface can be viewed as you drink. 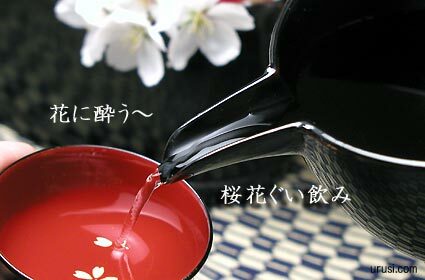 The painted cherry blossoms resemble the fallen flower petals coming to rest on the surface of tranquil water. Please enjoy our sake cup.